Gold movie review live updates: Director Reema Kagti's Hindi movie Gold is a historical sports drama film starring Akshay Kumar, Mouni Roy, Kunal Kapoor, Vineet Kumar Singh, Amit Sadh and Sunny Kaushal. Director Reema Kagti's movie Gold starring Akshay Kumar, Mouni Roy, Kunal Kapoor, Vineet Kumar Singh, Amit Sadh and Sunny Kaushal has received positive reviews and ratings from the audience. Gold is a historical sports drama film. Reema Kagti along with Rajesh Devraj have written the script for the movie, while Javed Akhtar penned the dialogues. The movie has been produced by Ritesh Sidhwani and Farhan Akhtar under the banner Excel Entertainment. The film has received a U/A certificate and its runtime is 2 hours and 33 minutes. 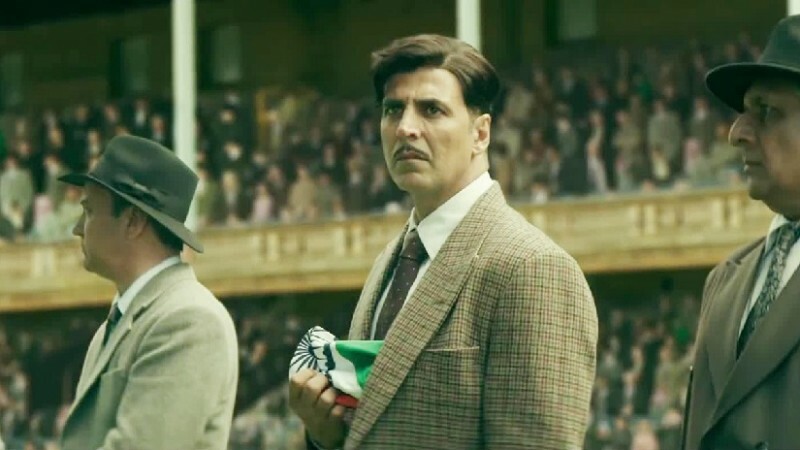 Gold movie story: Set in 1936 Olympics in Berlin, the film is about Tapan Das (Akshay Kumar), who is a general of British India's national hockey team. He is a great patriot and hates to salute Mein Fuhrer. He vows to win the gold medal in hockey for a free India. How he goes to many cities to choose hockey players and prepare them for victory form the crux of the story. Analysis: Reema Kagti has chosen a brilliant subject, which is the perfect treat for Independence Day. The director has tried to showcase a historical incident in an entertaining way. The movie appears to be slow and predictable in certain parts and some scenes remind you of Chak De India, say the audience. Performances: Akshay Kumar has delivered a brilliant performance and he is indeed the showman in Gold. Mouni Roy, Kunal Kapoor, Vineet Kumar Singh, Amit Sadh and Sunny Kaushal have also done justice to their roles and they are big assets to the movie, say the viewers. Technical: Gold has brilliant technical values and the music, picturization, dialogues, costumes and makeup are the highlights on the technical front. Gold movie review live updates: We bring you some viewers' verdict on the film shared on Twitter. Continue to see the audience response. #Gold is an outstanding film that will make you laugh and cry at the same time. This is a perfect gift for all of us on this #IndependenceDay . Kudos to the entire team. Thank you @akshaykumar sir for this film. @sunnykaushal89 You are truly a gem. Keep rocking guys. #GOLD Firstday Firstshow! @akshaykumar Sir u have been excellent throught out the movie. #Goosebumps Guarantee, one of the best patriotic movies . #GOLD crew members has done the fantastic job. Each one has played their role perfectly. Screenplay has been amazingly done. #Gold One word review :- ***BLOCKBUSTER*** A gift to our nation by Superstar @akshaykumar give on #IndependenceDay. Historical proud moments Brilliant acting , great story , Superb direction. Rating by @Anuraghindu86 ⭐⭐⭐⭐ Every one should watch it. Just watched #Gold & @akshaykumar is absolutely phenomenal! What an act! An impressive debut by @Roymouni and @kapoorkkunal @TheAmitSadh @ItsVineetSingh @sunnykaushal89 were fabulous. Reema Kagti's #Gold is a perfect film 4 this Independence http://day.You 'd stand up as the National Anthem plays at the end n what a feeling that is! Akshay Rocks n how!Amit Sadh is brilliant.Kunal Kapoor is excellent.Sunny Kaushal is the surprise package! MUST WATCH! Hey @kapoorkkunal super performance in #Gold .... Curious to know if your character Samrat is based on the Hockey legend Dhyan Chand?